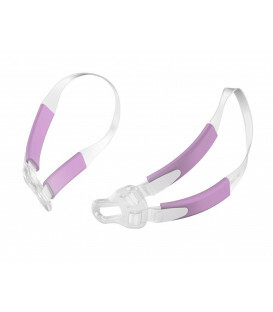 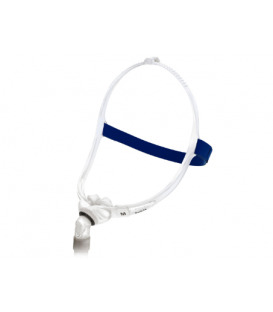 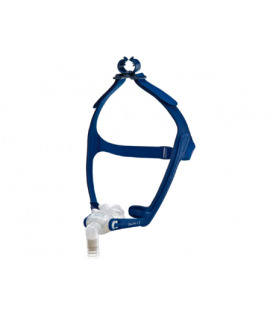 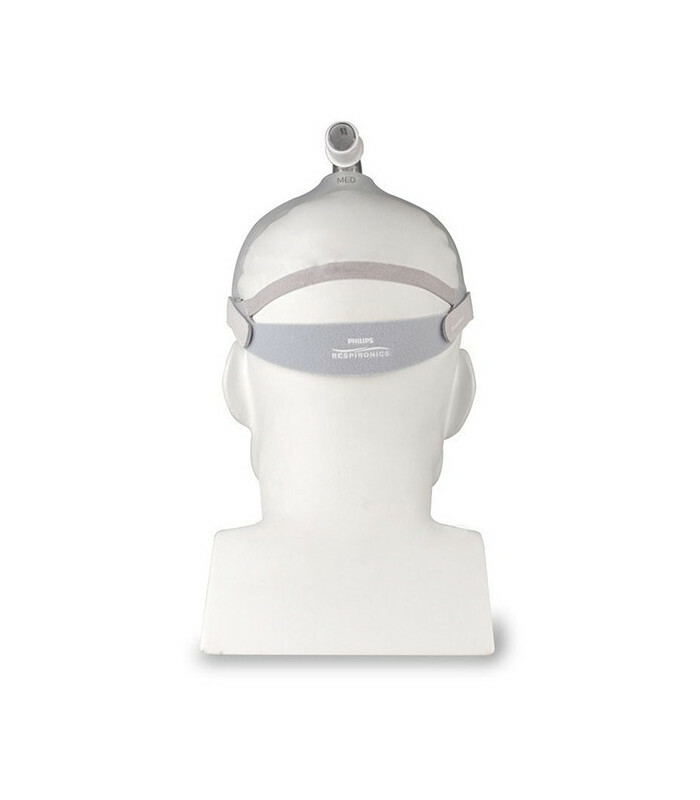 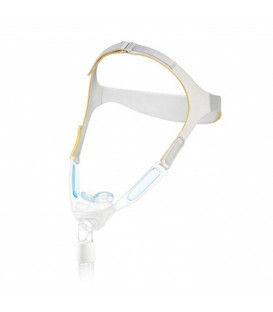 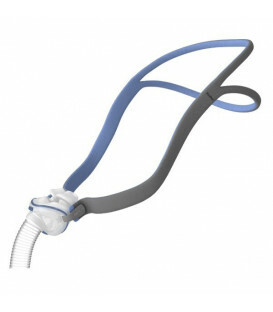 NEW DreamWear Nasal CPAP Mask with Headgear. 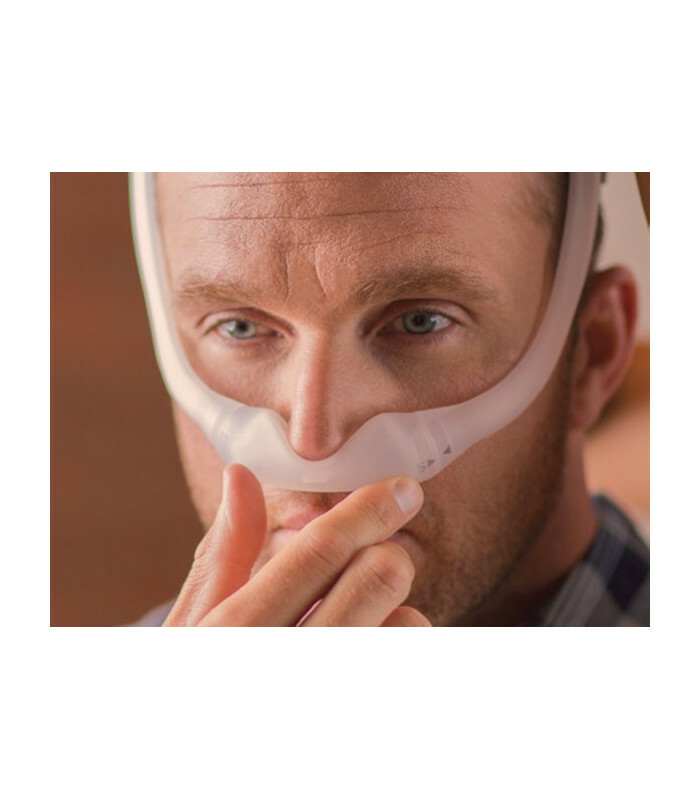 The DreamWear - Under the Nose - Nasal CPAP Mask with Headgear is an innovative take on a nasal mask which features an under the nose cushion and a hollow frame in which airflow passes through. 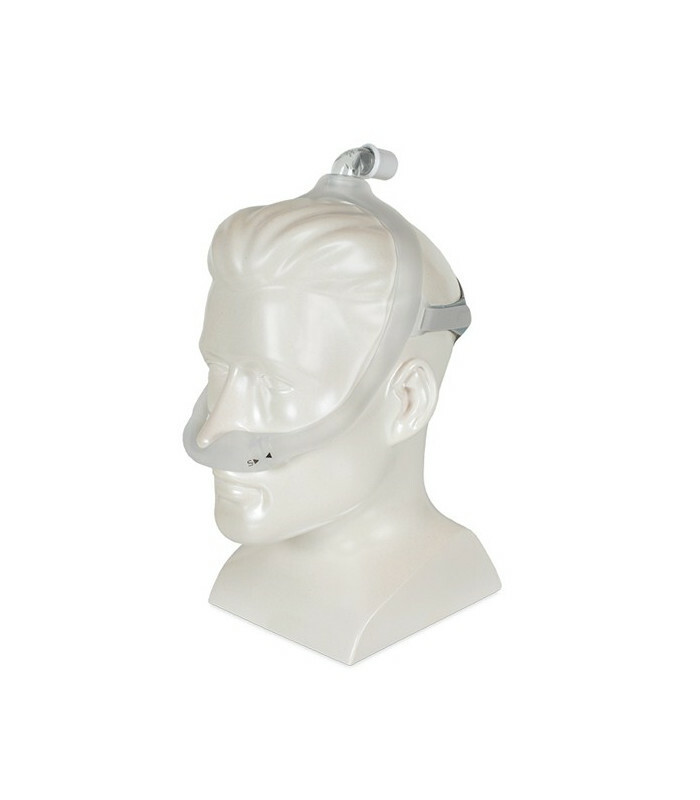 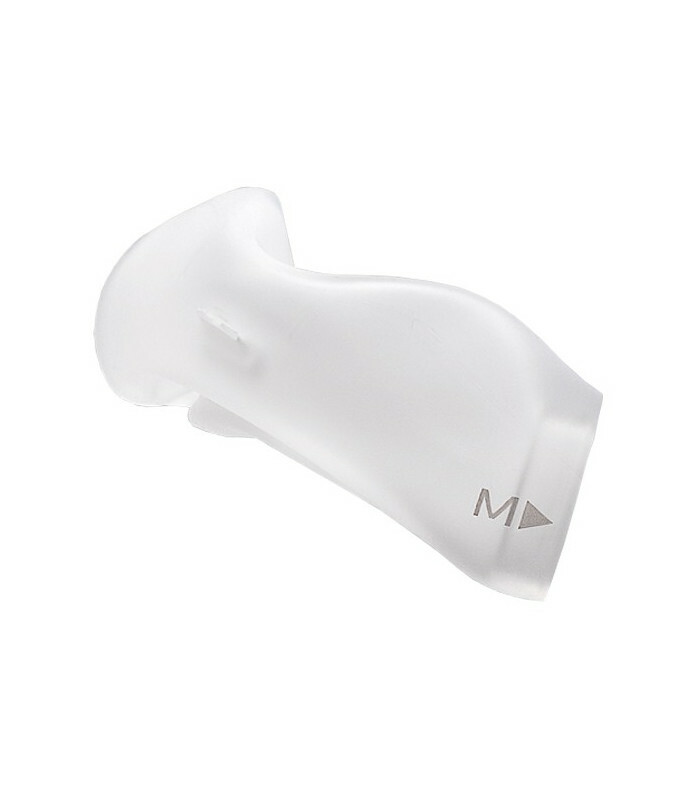 The mask is available in varying size configurations to help better fit a wide range of users. 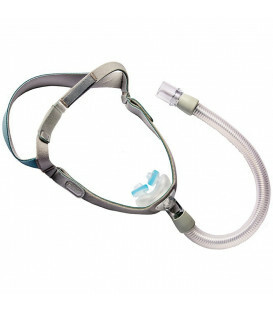 There are two sized parts to the DreamWear CPAP Mask: the frame and cushion. 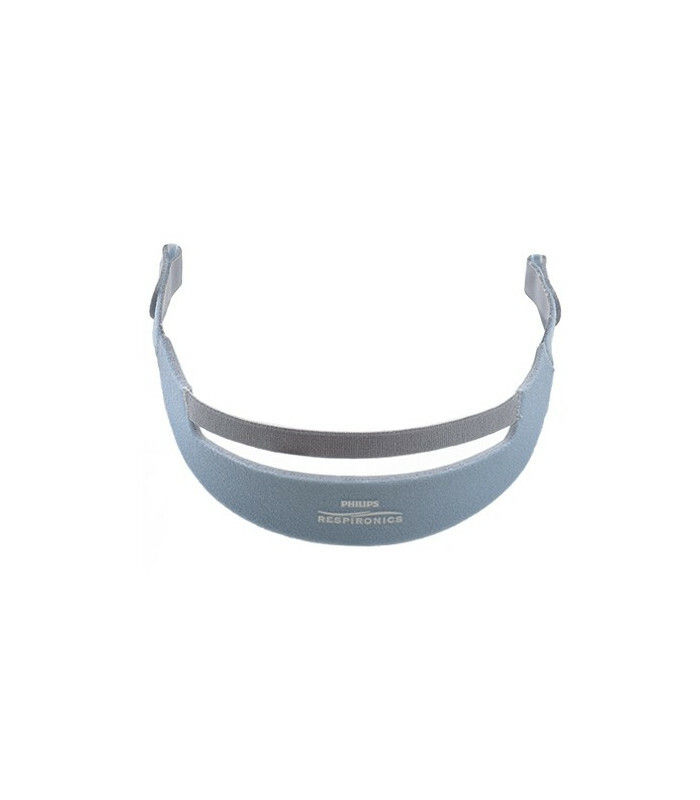 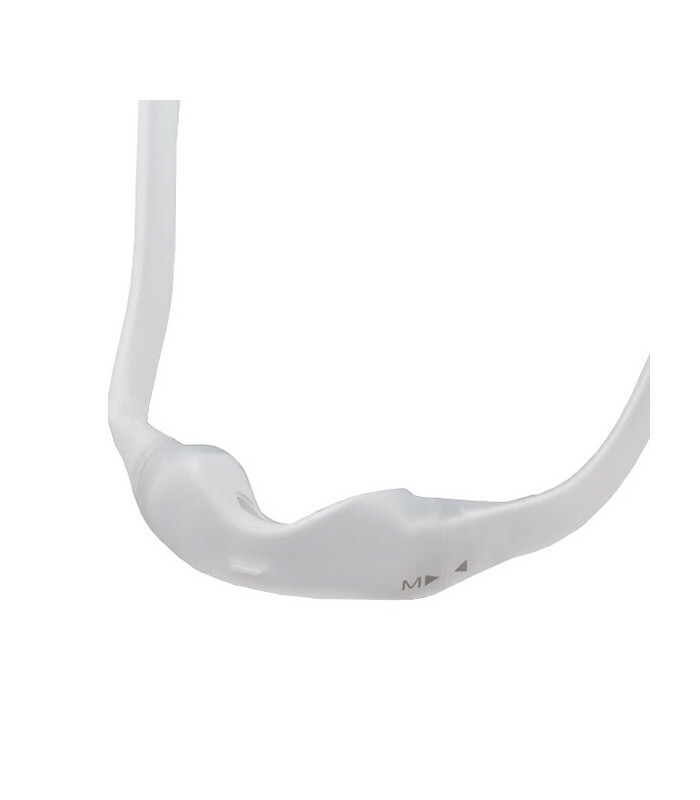 The frame size indicator is at the top of the frame just behind the mask elbow connection. 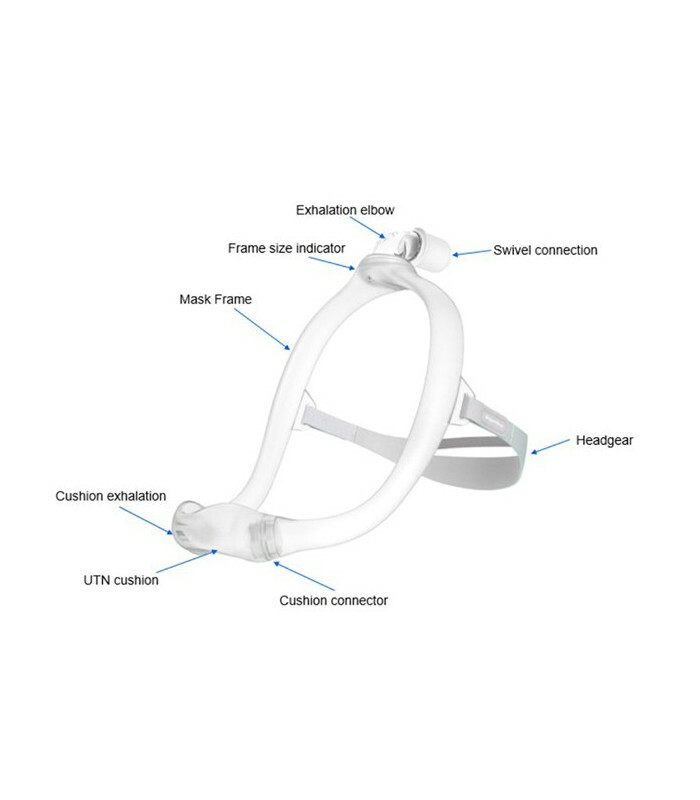 The frame comes in one of three sizes: small, medium, and large. 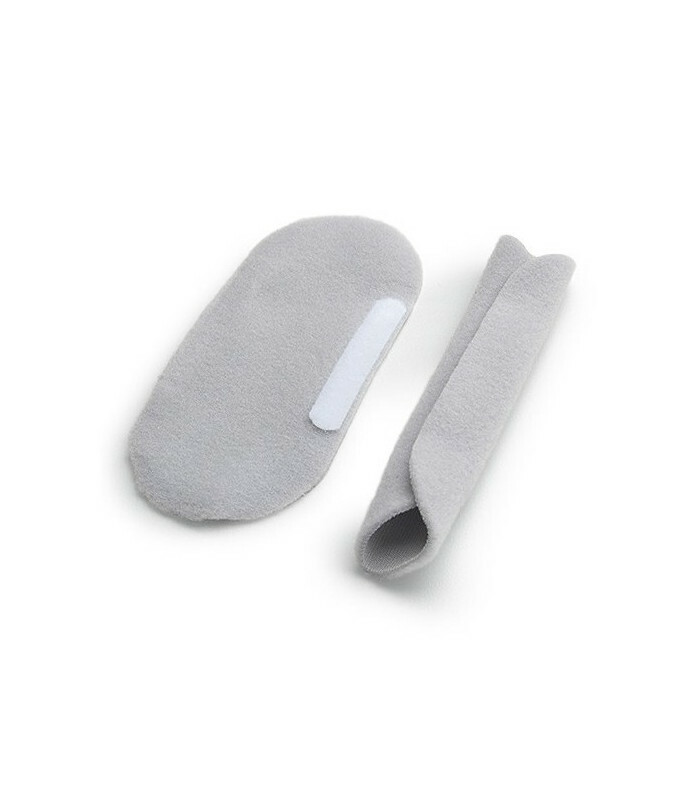 The other sized part is the cushion, which is available in four sizes: small, medium, medium wide, and large. 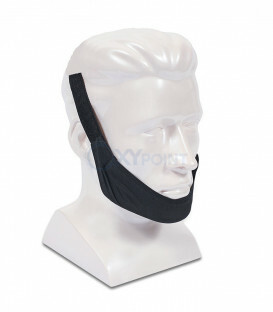 The cushion size is located on the front of the cushion in black lettering next to the arrow indicating the direction to connect the cushion to the frame. 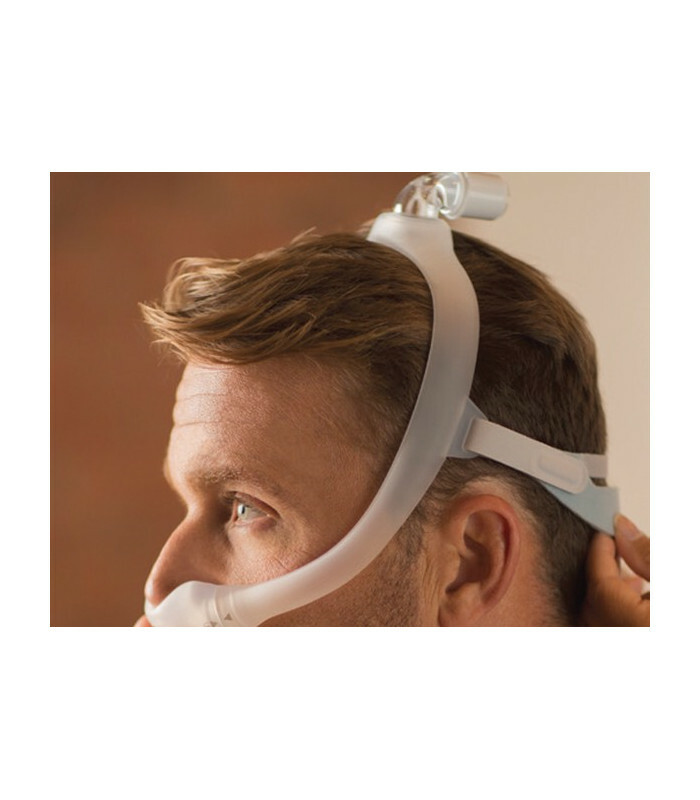 If using a Respironics System One machine, a system one resistance control number from Respironics can be set to allow the machine to compensate for different mask types. 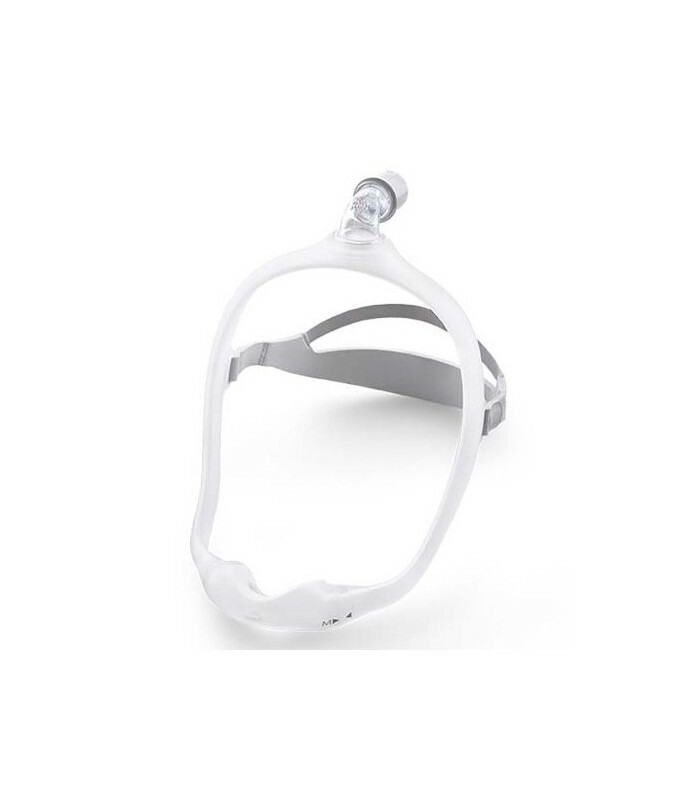 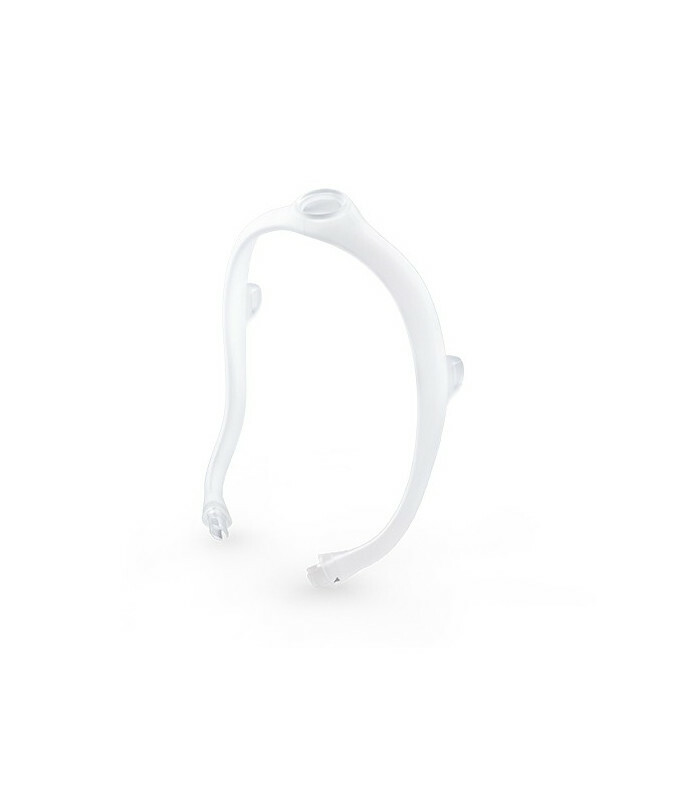 The resistance control number for the DreamWear Nasal CPAP Mask is X1. 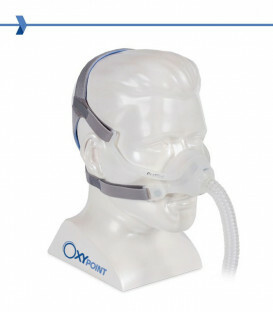 Please Note: System One Resistance Control is for System One Machinesonly.